Another load of wood hauled out of the bush and split. Forks of the Credit with Goose and AD. Lovely sunny day out, and mostly dry trails except for some melting ice and mud in the shade. Heard spring peepers, saw a Garter snake. AD got to visit Pops after, then a nice dinner at the Goosenest / Chez LD. Best viewed in full screen on Vimeo. 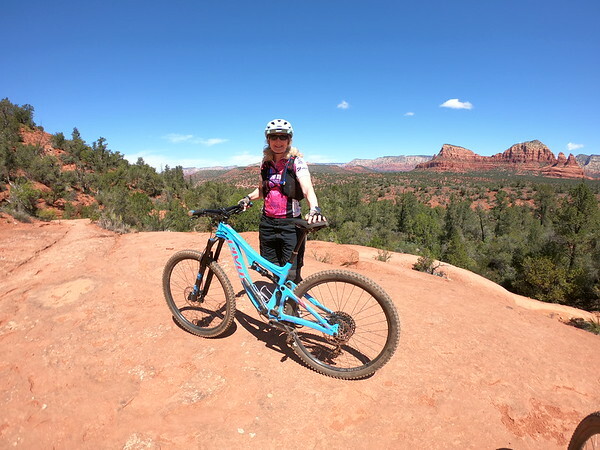 We we went to the Bell Rock area and rode Slim Shady and other trails around Cathedral Rock. 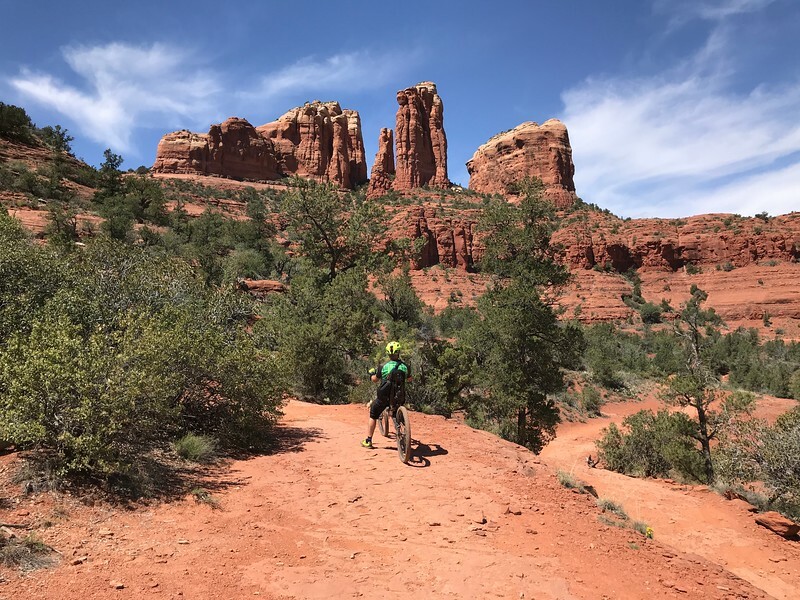 Once again, amazing scenery and great riding, but Bash got bad family medical news from home, so we knew we’d have to cancel the rest of our trip, so our hearts weren’t really in it. The bike worked well on this trip, and I never took any falls. My only bike issue was a leaky rear shock, which had been recently rebuilt. Back to the shop with it. 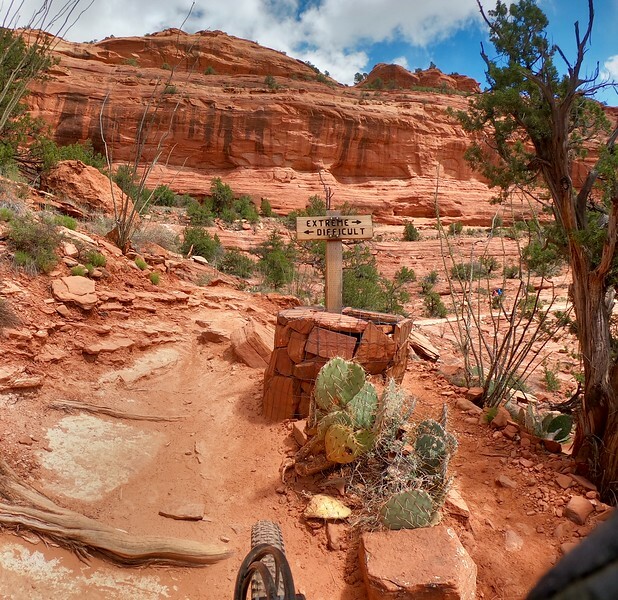 Mescal Trail and Chuckwagon- pics on Bash’s log. 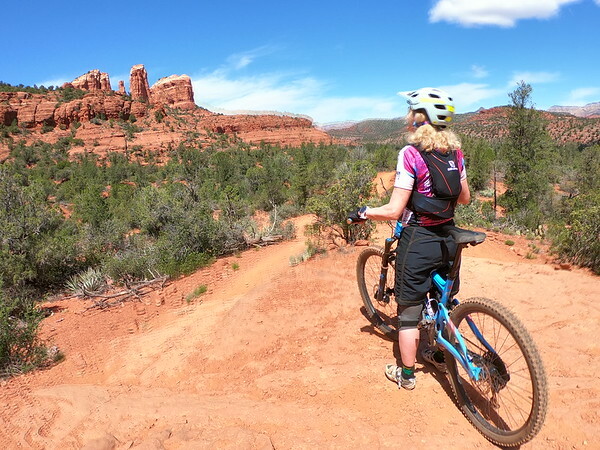 We’d heard good things about this trail and it didn’t disappoint. Generally very rideable other than a few spots, and spectacular scenery. Epic clouds and cool temps, with some pellets of Graupel pinging us here and there. In taper mode, so we stopped to chat a bit with the inevitable ‘bent-curious riders and other tourists, and I got some good GoPro footage from a few different POVs. The scenery was amazing around every turn. Off to Creekside for coffee and live music with a view after. We saw folks walking around town wearing a vest, down jacket, toque and a buff. 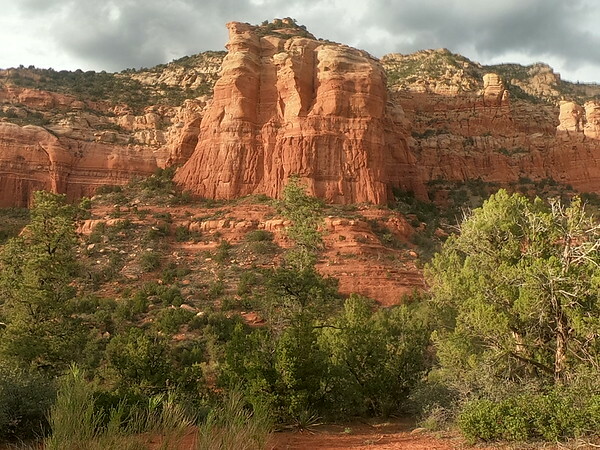 Nice drive up to Flagstaff through the amazing Oak Creek canyon. We’d hoped to get used to the elevation a bit, at 2300m or so. Blasting winds dusted us throughly as we set up, but riding around the Campbell mesa was nice and flowy. We’d planned to hike a mountain near Flagstaff, but howling winds cancelled that. 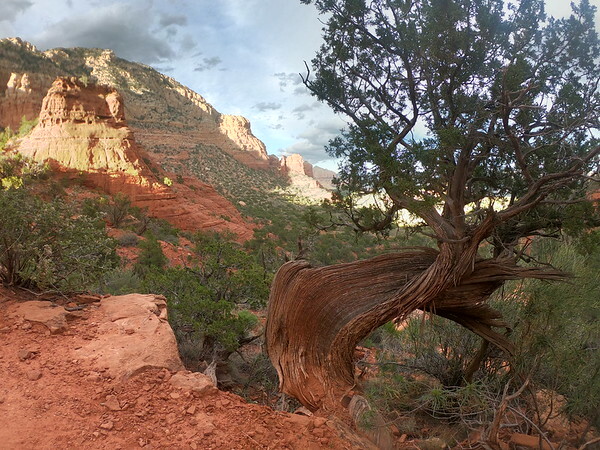 Spectacular views and good light were a chance to test the new GoPro’s still photo mode. Nice ride in a different area today. Pics on Bash’s log. 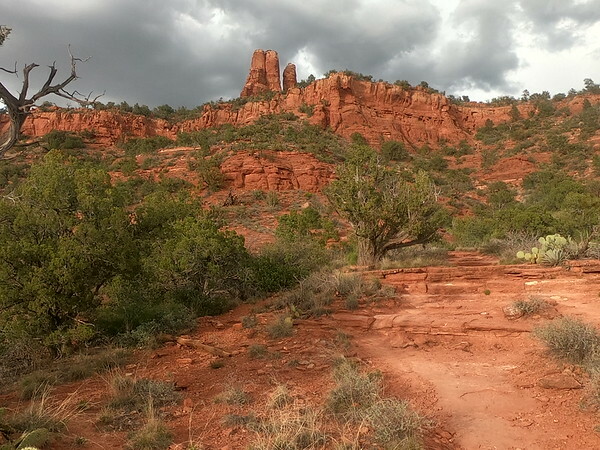 We went up to the Soldier’s Pass area, and rode the Adobe Jack trails. 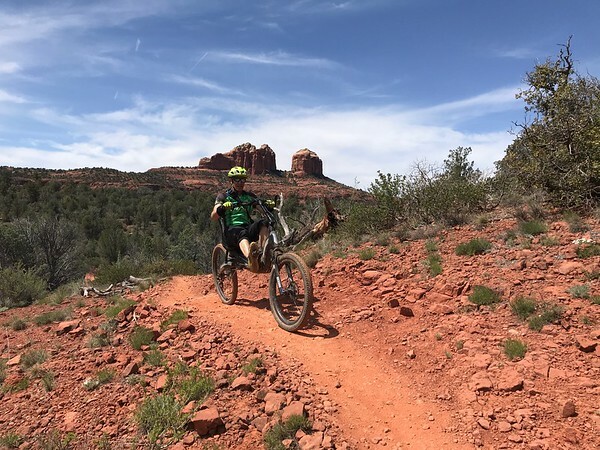 A bit of slickrock riding, lots of nice flow, and also more trails rated Advanced than yesterday. Lots of dropping in and out of dry river washes, with lumpy exits or hairpins had me off the bike a bit more. 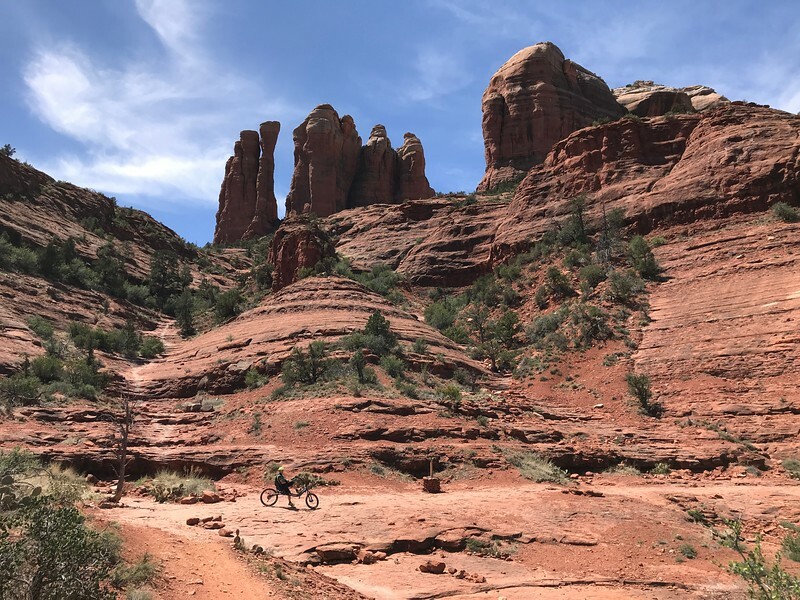 Jaw-dropping scenery and tons of good trails once again. Afternoon hike on the trails near the airport area, with spectacular sunset views of Bell, Courthouse and Cathedral Buttes. Would have been rough riding. 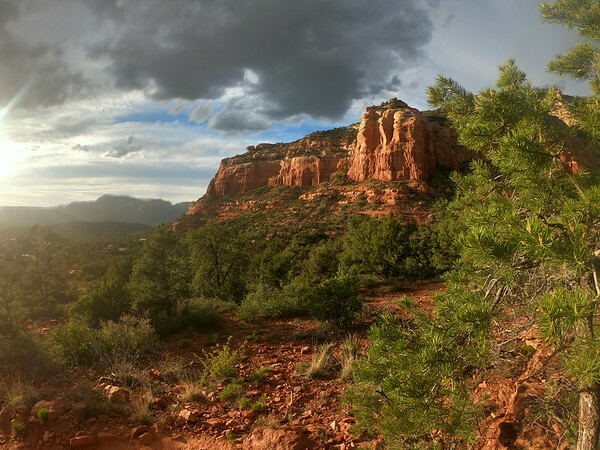 Excellent Sedona ride with Bash. See her log for pics. The plan is not to break ourselves before the Whisky Basin Ultra next weekend. We ended up riding from our door out to the Aerie/Cockscomb loop. 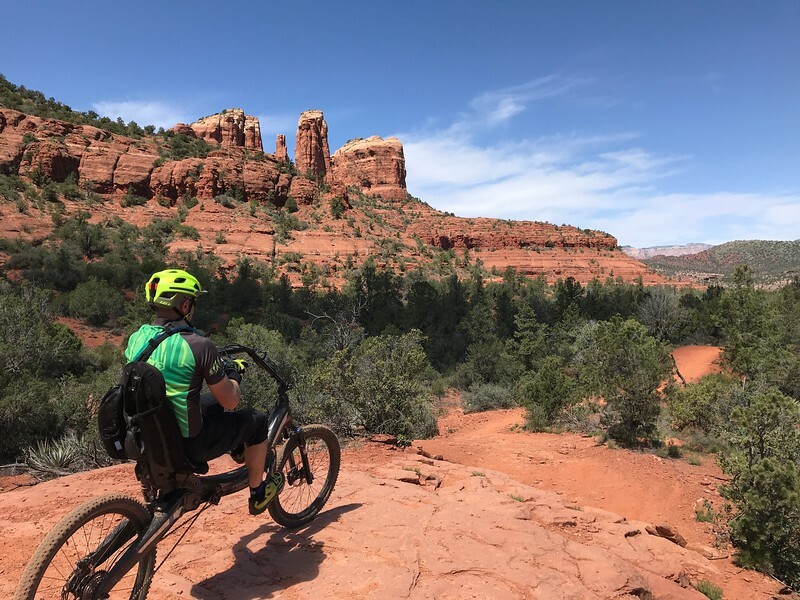 Very rideable trails with fantastic scenery. So happy to be on my ‘bent here rather than pounding my neck and white-knuckling descents on a rental. I guess nobody’s ever seen an MTBent here before, so lots of stops. Unfortunately my gopro case broke, so no video for a few days until Amazon delivers.